... through this simple guide. If you are following a diet with enough fiber, together with adequate water intake, moderate exercise and good stress-management, you should not suffer from this problem. Don't wait until you are thirsty. If you don't offer your body a cup of water, he will steel it from your bowel contents. The stool will become consistent. Water, juices, soups, teas and compotes are the first line of defense against constipation and a must in constipation remedies. Here are my favorite constipation natural remedies. You can give them a quick check now or after you have finished reading this guide. Do you eat lots of highly processed flour products, sweets, meat and cheese, but few vegetables and fruits? Fiber is essential for bowel movement. Eat vegetables and fruits (cereal, prunes, figs, apricots, spinach, pears, apples, plums, grapes, cherries or carrot juice). Do you sit all day in a chair at work? Do some stretching exercises. Walk and play with your kids outside and enjoy the sunshine. Exercise is actually one of may favorite constipation remedies. Do you use laxatives frequently? It's like giving money to my son for the rest of his life. If he doesn't earn it, he won't be capable of living on his own. Your colon muscles will become dependent on laxatives. You have to put them to work for their own sake. Do you have financial or personal problems? Unfortunately, stress is a part of our modern lives. If you let it, that is. On the long term, stress and depression lead to chronic constipation. Although neither simple nor quick, herbal remedies for depression, along with ones own will, have a good track record. Hemorrhoids cause you trouble and pain? Refraining yourself from going to the toilet because of itching or bleeding hemorrhoids will cause the faeces to stay too long in the colon. The body will absorb the water and the stool will become solid. Follow a constipation home remedy and a natural hemorrhoid treatment at the same time and kill two birds with one stone. Do you go to the toilet whenever you feel the need to? Frequent postponing has the same effect. It will lead to constipation. The hormonal changes and the pressure on the colon can cause constipation. Psyllium seeds should provide a natural constipation relief. 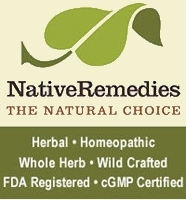 Also, look in our herbs for women page for other herbal remedies for women. ...for high blood pressure or Parkinson disease, gastric antacids which contain aluminum and calcium, antispasmodics, antidepressants, anticonvulsants or iron supplements? Drugs have all sort of secondary effects, and will damage the bowel and digestive systems. What constipation remedy worked for you? See what other people have tried! Try these natural constipation remedies before using laxatives. My daughter, Roxana, suffered from constipation from an early age.